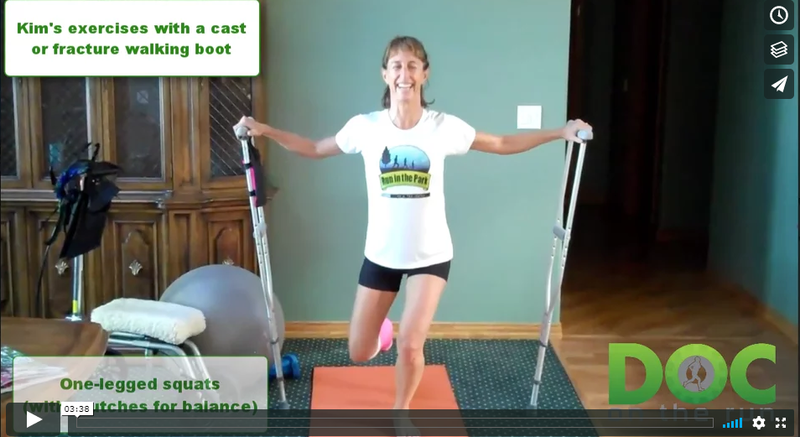 But before we get started I want to mention that Kim actually made a video of exercises you can do to workout when you have a leg cast or fracture walking boot so you can stay fit and recover faster. All you have to do is go to the bottom of the page for the show notes for this particular episode. It’s embedded there and you can view it. Dr. Segler: I’m really excited to have Kim on the show today to talk about the extent of muscle atrophy that happens when you have a running injury and have to wear a fracture walking boot. Kim has always been athletic and she unfortunately suffered an injury that resulted in her needing to wear fracture walking boot to recover. One of the things I have always argued is that running injuries can be a problem, but the real problem is often the treatment we doctors apply to runners indiscriminately that leads to permanent problems later. Muscle atrophy is a great example. So Kim welcome to the show! Dr. Segler: Before we get started maybe you could just tell us a little bit about your athletic history and the events you have always enjoyed. Kim: Sure! I have been for the past fifteen years or so doing triathlons and really enjoying all aspects of doing the swimming, biking and running and had started right before my Achilles ruptured, to do fairly well in short race Olympic triathlons usually coming in second or third in my age group and really enjoyed the competition of that. Dr. Segler: So you are training a lot, you’re obviously super super competitive and so did you have a coach or you just self-coached when you are doing all of that? Kim: I was self-coached and I also dealt with a group of friends to do all the races together. Nothing professionally coached. I did for a while worked out with a group from UCSF where we had some coaching. Dr. Segler: Basically though, being self-coached and being to place in your age group is a very difficult thing to do. You must have had pretty thorough understanding and training methods because you don’t just get that fast without understanding all these things. You had a lot of knowledge going into this and then you got injured. What happened, how did you get injured? Kim: The way I got injured is I was playing tennis and I was on vacation and I didn’t know there would be a tennis court and I didn’t have proper tennis shoes. I had my running shoes with me and I was out on the court and my husband hit me a drop shot which I ran to and just somehow my foot flipped out under me and I crashed to the ground and that’s how my Achilles ruptured. Dr. Segler: Okay so then obviously that’s not the best way to enjoy a vacation. Did you go to the ER, what happened? Kim: I didn’t know I ruptured my Achilles, I thought it was probably a partial tear. I’m here on vacation with my kids so I will just stay for the rest of the week and have it checked out when I get home. So I continued to sort of tried to swim and be active on it and then when I got back home five days later I went to the doctor who did a manual test and said that’s a full rupture and you’re going in a cast right now. Dr. Segler: Now the thing is though I understand that you’re just trying to be optimistic and you’re thinking maybe it’s just a partial tear but that actually happens a lot. I have seen lots of patients that have full rupture and they actually think it’s a partial rupture. I have done surgery on people who call me and say “I know it’s a partial rupture because I looked at this YouTube videos and I can still feel something there” but there’s a little thin tendon that runs next to the Achilles called the Plantaris. A lot of times that doesn’t rupture and so that sort of tight band from the Plantaris fools people into thinking that they don’t have a full rupture. 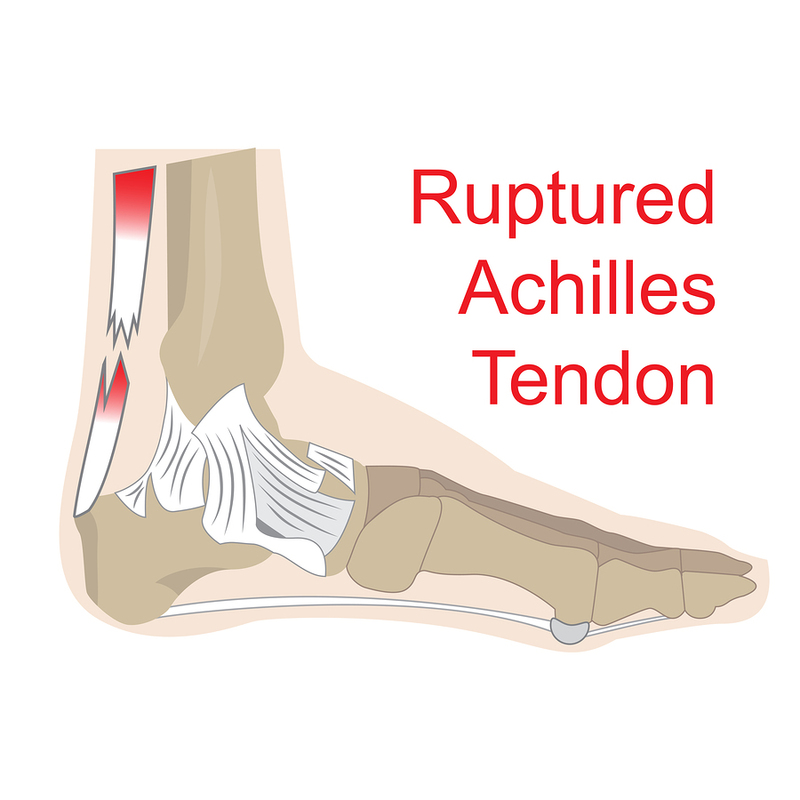 It does happen a lot but there is a simple test you can do to evaluate it and determine whether or not you have a full rupture but it’s really common for people who rupture their Achilles and don’t actually know that it’s completely ruptured. So when you came back, you got evaluated and the doctor said you have this rupture, were you given a fracture walking boot or a cast? How were you treated? Kim: The doctor said you need to go directly to the cast room. They casted me and have the cast on for six weeks and then transition to walking boot with heel raise. They casted me in a toe point. Dr. Segler: So basically not only did you rupture it but you have already been sort of moving around for almost a week before you actually got treatment right? Dr. Segler: Alright, that makes things worse because when you rupture the Achilles tendon it can pretty quickly start to contract and so you’re treatment actually becomes a lot worst at that point because if it contracts then you have to basically point your toes all the way down and sort of push those pieces together to get it to start to heal and then you have to reverse that process once it starts to reform. Then we have to transition your from sometimes we will take off the cast, push your foot up a little bit, Re-cast you, you push up a little more. You got stuck with kind of the worst possible treatment where you’re in a cast for a long time and you have to transition by using a fracture walking boot. I imagine that was miserable but what was that like that recovery process was? How many weeks total were you immobilized? Kim: I remember correctly it was probably about twelve weeks. I think six weeks in a cast and then six weeks in a boot going in every two weeks and taking out heel lifts so that I was going progressively from a complete toe point to more of a flexed foot. you’d knew would haunt you later. Kim: Well I knew that being immobilized, I would lose a lot of fitness. So the main things I did was what I could do with a cast or walking boot on. I took a pedal off of my exercise bike and started pedaling with one foot while I was on the cast and then once I had the boot I was able to actually be on an exercise bike or a bike and start working out. But I couldn’t swim or run so I just did other kinds of strengthening exercises for the rest of my body and I knew that I’d have a lot of atrophy in the leg that was being casted but I’m not a professional athlete. I thought well that’s okay if I have to take a year off I’ll just recover over time but that was in 2013, it’s now 2018 and my calf is way smaller than the other one and that’s one I clearly didn’t fend off and I didn’t expect that. Dr. Segler: Okay so in three years and continuing exercise after, your calf is still smaller like visibly small right? Kim: Yes it’s been four and a half years now and yes it’s physically smaller and for a while I would measure it. I mean I went immediately when I was out of the boot to doing calf raises of every kind, sitting standing with weight but I did it for a year and I honestly just got a little burned out on doing calf raises but still despite all it’s visibly smaller than the other one. Dr. Segler: Right, so you did get what amounts to permanent atrophy right? 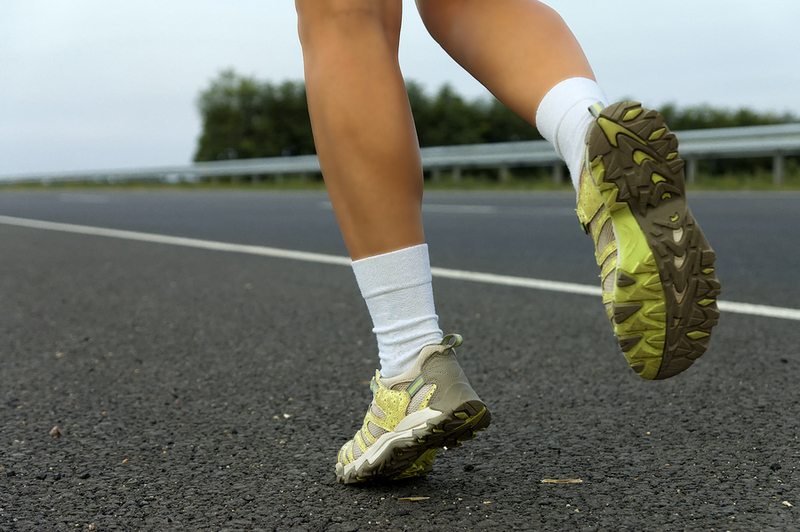 You now have a smaller calf muscle on your injured side that on you non-injured side. Even after you said like a full year of trying to rehab it and you measured the calf circumference and do you remember like about what the difference was? Kim: I don’t remember exactly but it was maybe three centimeters. It was something. 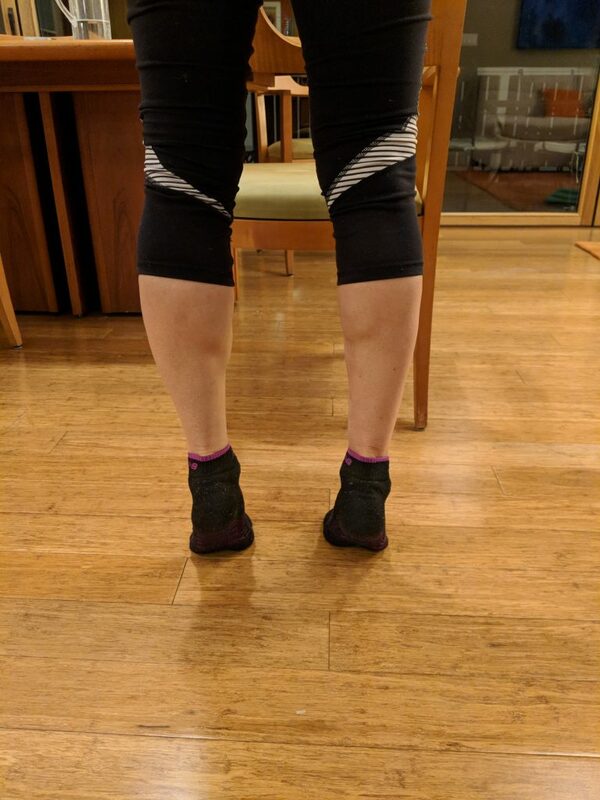 Dr. Segler: Yes so quite a bit less and it’s frustrating but one of the interesting things is that a lot of times you can get that kind of muscle atrophy and your calf muscle is visibly smaller than the other but you could still be a really strong athlete. Do you have any like perceived weakness on that side or does it feel pretty strong? Kim: It definitely looks worse that it feels. I feel like when I ran and bike now I don’t feel like that calf gets particularly sore but I know overall I’m weaker than I was having tried to go back to doing triathlons. I’m like in the middle of the pack athlete now and actually that’s disappointing. I don’t know if that’s a hundred percent due to my calf atrophy but I do know when I still try to compare if I try to do say one legged heel raises on my right injured formally injured leg versus the left that I am still weaker. Dr. Segler: Okay it’s an interesting thing because like you said it looks worst than it is and that is a common thing is that although it is smaller and it’s not going to be as robust as your other calf no matter how much you work-out, you can still at least get back to athletic activity. I think it’s important for people to realize that there’s nothing you could have done differently. You did all the right stuff. 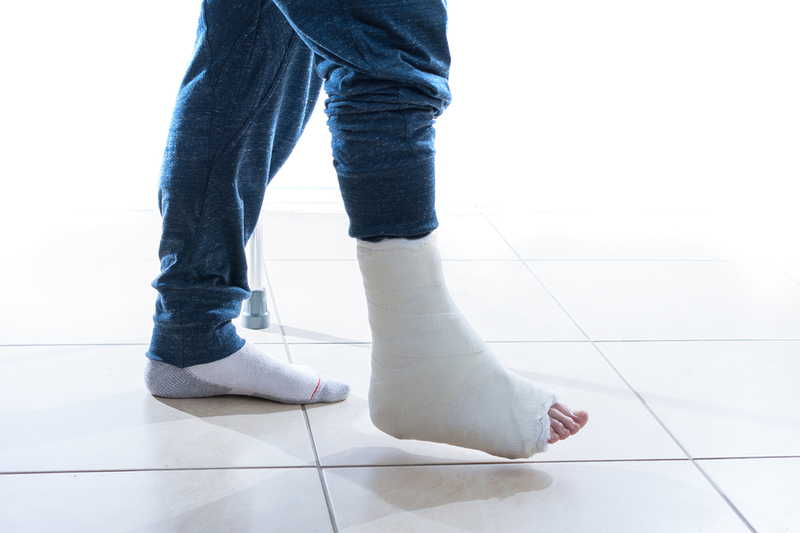 You’re super aggressive but when you have an Achilles tendon rupture, you don’t know it’s ruptured and you don’t get it treated for five to seven days, the treatment is worse and you’re immobilized a lot longer. But it’s that progressive immobilization or that extent of immobilization that really puts you at risk because it’s this exponential decrease in strength that happens. So if we can put you in a boot for only two weeks, that’s a lot better than four weeks. If we can put you in a boot for only four weeks, that’s way better than six and that’s way way way better than twelve. You have to do it. You have to do it to get it to heal obviously but there are all these other things you can do stay strong. I know you actually have some like you made a video of some of the strengthening things you were doing while wearing the boot. Kim: I would love to share it. I actually had somebody call me and say my physical therapist said I should look at your video and I always share it with them. Dr. Segler: Kim actually said we can imbed this video as you can take a look at it. All you have to do is go to the show notes page and you can see it there. Why don’t you tell us a little bit about those other things you did to sort of keep the rest of you strong and fit as you were healing? Dr. Segler: Yes, that’s very helpful. If of one of your running buddies called you today and they said I just ruptured my Achilles tendon, what would be your advice? Kim: Well I think my first advice and the decision I struggled most with was to have surgery or not to have surgery and I decided not to have surgery because the doctor that I saw said that he didn’t recommend surgery and felt that the outcomes in recent studies show that the recovery is just as good with the progressive to pointed immobilization as it is with surgery. Now I don’t know if I’d be any better off if I’d had surgery but given that I haven’t had a full recovery, I’m constantly second-guessing the decision to not have surgery and I know for a while people have been saying or doctors have been saying “Okay, if you’re over forty and you’re not a professional athlete then why risk surgery?” and so I feel like I was in this borderline situation of like yes I’m over forty but don’t treat me like I am. Dr. Segler: Well exactly, that’s the thing is people say this like well if you’re not a professional athlete. What is a professional athlete? Is that only that you’re living depends upon it because a lot of your enjoyment of the things you do is it’s not just exercising. I would imagine you enjoyed winning, placing being really competitive in your age group. And in some respects I consider those people to be like professional athletes. All elite athletes in my mind are professional athletes. At least the way that we categorize people as physicians. To me there’s a big difference between somebody who plays basketball only in the winter in the church basketball league once a year and then doesn’t exercise the entire rest of the year or somebody who really is a part of their entire identity and lifestyle, competes and trains on a regular basis and as a consequence of that is extremely competitive. 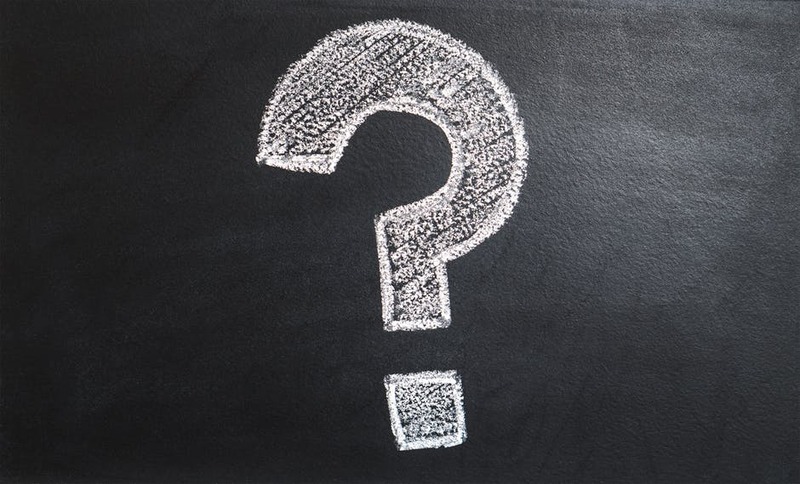 It is an interesting thing and there is a lot of debate among physicians still about whether it’s better to treat people conservatively or with surgery. Because there are so many studies first and have been studies for so long that show that this sort of strict immobilization protocol with pointing your foot down, casting you, using a boot to gradually get you back down to the normal position that it does just as well surgery and that’s true. Your case is not one of those but it really does sort of speak to the difficulty of having a significant injury and obviously like all the mythology around a kid Achilles. I mean Achilles is a real problem and then if you ruptured it, it’s a real serious problem but obviously you did great. There are lots of people who have ruptures like yours and they never get back to running. Kim: I’m running, I’m running up hills and it’s just not as fast as I used to but I can still do everything and I’m grateful for that. The other thing I might have done differently when I look at what you are doing Dr. Segler and terms of my daughter Nina is recovering from her broken foot. I realized she can do things with her ankle range of motion and it couldn’t have done with my Achilles. But I do wonder if in the later days of having my walking boot I couldn’t have taken off the boot and at least massage my calf or done something where I wasn’t so completely immobilized for so long and I don’t know if I could have but I definitely wasn’t working with somebody who could’ve talked me through that and helped me make sure that I recovered that part of my body worked quickly. Dr. Segler: You’ll never know but with every athlete I think the goal is always to stay as close to that line of trouble as possible. That is your job when you’re coaching yourself on your training. Your job is to train as hard as you can without getting injured or sick. You want to maximize your body’s capacity for tissue damage that can rebuild itself and become stronger before your workout and your goals is to stay right below that threshold for injuries. You maximize that possibility. The same thing is true when you are healing. We should always try to figure out what you can do to push the limits to get your mobility back, get your strength back, get your fitness back without reinjuring that tissue that’s actually recovering. But that’s different for everybody which is why I don’t think any one treatment should work for every patient. You need to figure out where that line is with every patient, we’re all different. We all have different diets. We all have different physiology. We all sleep differently. There are so many factors that contribute to those things but we have to figure out what those things are for each of us as we are recovering. Dr. Segler: But still it’s a tough injury. You’re lucky that you’re running. It’s great that you’re running. Kim: That’s good to hear. Dr. Segler: I’m sure you like to be back where you were before but it’s really generous of you to come on the show and talk about all your experience. So that all the others listening can learn about these very abilities and when they get injured have this kind of thing and I know this has been an experience for you going through that. But I am really grateful that you’re willing to take the time to come on the show today and share with all of us. Kim: Well thank you and I am happy to be able to be out there running and doing everything I used to do and I hope that others who have this injury, take the pedal off their bike and just start moving their bodies because there’s no reason to wait. Dr. Segler: Yes, those things are really helpful. Kim: I hope it helps others thanks.